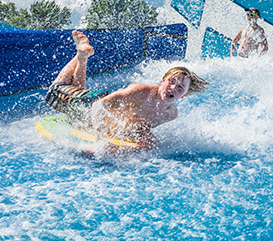 Your family-friendly Waterpark adventure begins here! Climb the wall, surf the waves or float on the lazy river. There is something for everyone!